This collection of bedroom pieces can be adapted to fit into any bedroom in your home. 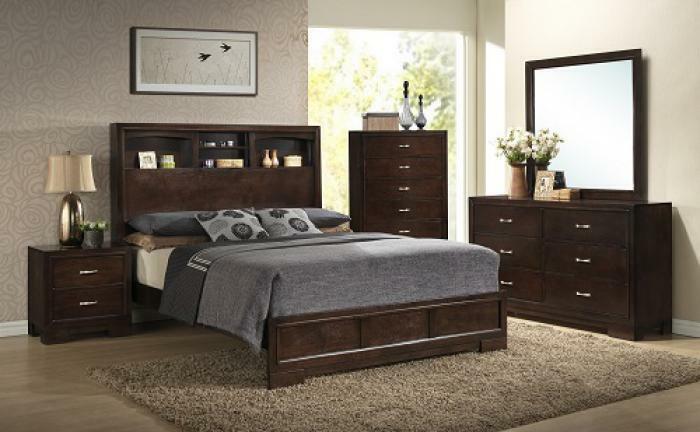 This collection features unique storage options, framed panels, and block feet. 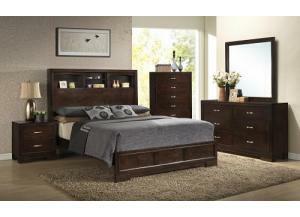 Chrome colored hardware adorns drawer faces and pops against the deep brown finish of the walnut veneers. Bring this collection into your home to create a modern and casual atmosphere in your bedroom.